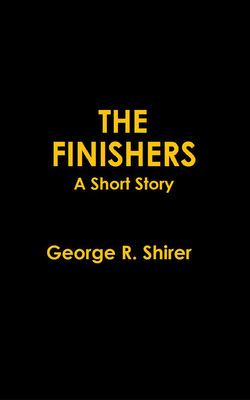 George R. Shirer was born and raised in South Carolina, but has lived and worked in Alaska, Ohio, Virginia and Washington, D.C. Highlights from his life include a brief career as a professional fortune teller, testifying in an honest-to-God murder trail and accidentally peeing on a bear. Recently, George returned to his native South Carolina, where he thinks he spends more time staring at his laptop than actually writing. Charlie has lived in the Marvelous Land of Ap since he was a teenager. He doesn't miss the world at all. Ella has just arrived in Ap, and can't wait to go home. Until that happens, Charlie has agreed to look after Ella. Unfortunately, this arrangement gets complicated when Charlie's duty takes him, a reluctant Ella, and a young boy named Thimble from the safety of Ap, into the uncertain dangers of the Dustlands. Think superheroes have it easy? Think again. Since their debut in the Golden Age, superheroes have changed a lot. In this collection of short stories, set in a common universe, see just how much they have changed and how very human some of them remain. In "The Goodbye Party," an immortal heroine makes a choice that tests the resolve of her closest friends. "Superbastards" gives us a glimpse into a section of the super community seldom explored. "Peer Pressure" reveals the lengths the founder of a school for superheroes will go to, to recruit a potential new hero. "A Night in the Afterglow" introduces one of the most popular superbars in the world and why it exists in the first place. In "Consequences," a hero team's decision not to follow the rules has catastrophic results. 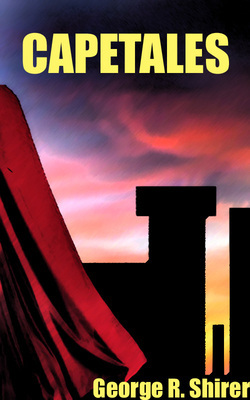 "Monsters" unveils a darker corner of the superhero world and the things that stalk the shadows. The Death of Faith is a short-story about the impact a young woman's suicide has on her family and friends. It is a story of grief and anger, family and friends, survival and, ultimately, hope and forgiveness. It's been twenty years since the Flip, since the newly-dead rose from their slabs to terrify the living. Now, on a quiet night in an ordinary city, two men go about the business of executing the unfinished dead. Tobias is old enough to remember the world before the Flip. His partner, Archer, grew up in this new world where it's normal for the dead to rise. Finishers. It's not an adventure, it's a job. In an alternate reality where Nixon was a rock star and the USA has a huge trade deficit with the Magical Land of Oz, Mike Daring is a smuggler of some renown. But when a deal goes bad, Mike finds himself embroiled in a situation involving drug dealers, assassins and Oz insurgents. 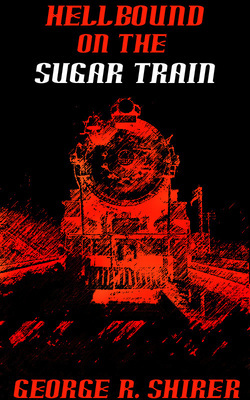 Can Mike get out of a deal gone spectacularly bad, or will he be hellbound on the sugar train? In these twenty-six vignettes, you’ll get a glimpse into her world. Whether showing her ‘lovely assistants’ the Last Apple from the Garden of Eden or hinting at a cruise that was worse than the Titanic disaster, these short pieces are bound to amuse.